The Harmonic Spectrum comes as an 8pc set that represent a full middle octave of the music scale (C,D,E,F,G,A,B,C). This set of tuning forks is based on the Pythagorean Scale which is sometimes referred to as the Just Scale. Use the Harmonic Spectrum to relax and unwind the mind, balance and tone the chakras and to cleanse the auric field-among a host of other things that you can use this wonderful set for. This set comes in both Weighted and Unweighted aluminum alloy and is made in India. Cost of Unweighted Tuning Fork Set: $119.99 plus $13.99 postage inside of U.S.A. 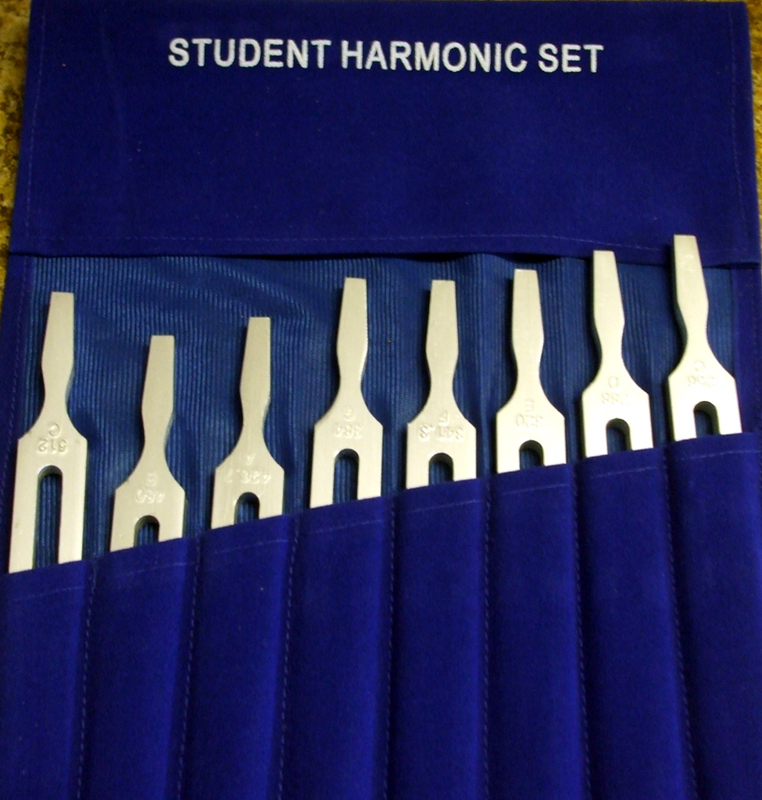 Cost of Students Tuning Fork Set (unweighted): $59.99 plus $13.99 postage inside of U.S.A. Please Note--If product is being shipped outside of the U.S., please contact FrancineMilford@cs.com for total shipping cost before ordering.